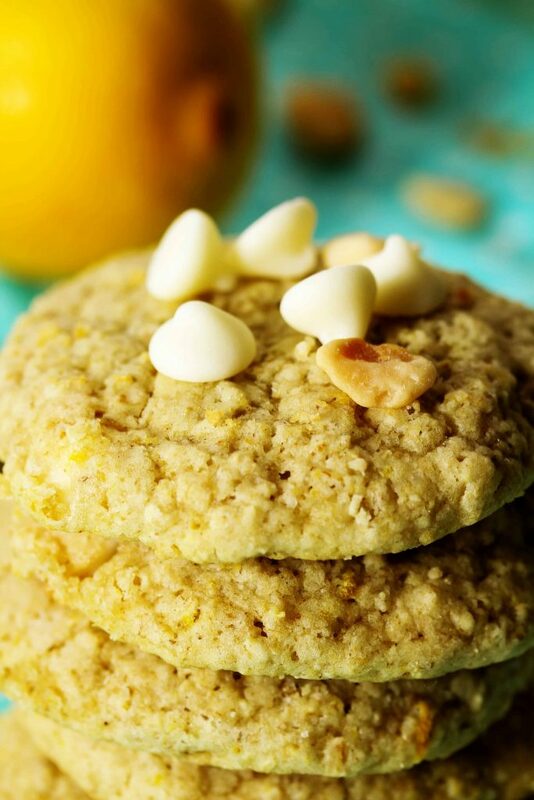 These cookies are like a tropical getaway in cookie form! 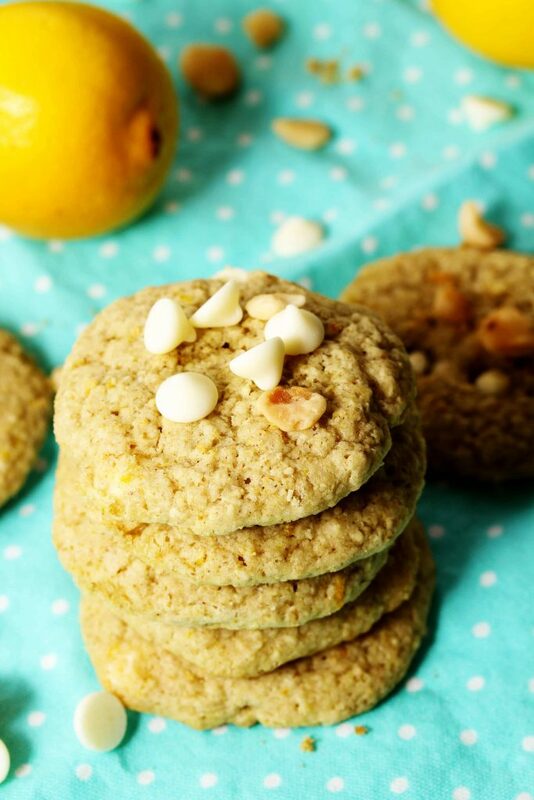 Perfectly lemon flavored cookies with a crispy edge are home to crunchy macadamia nut pieces and sweet white chocolate chips. They’re everything you want in a tropical flavored cookie. 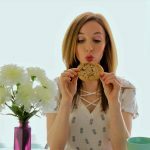 As a (self-proclaimed) cookie connoisseur, I know that people typically either like crunchy cookies or chewy cookies. Well, this cookie has something for everyone! They have a crispy outer edge and a chewy inside. 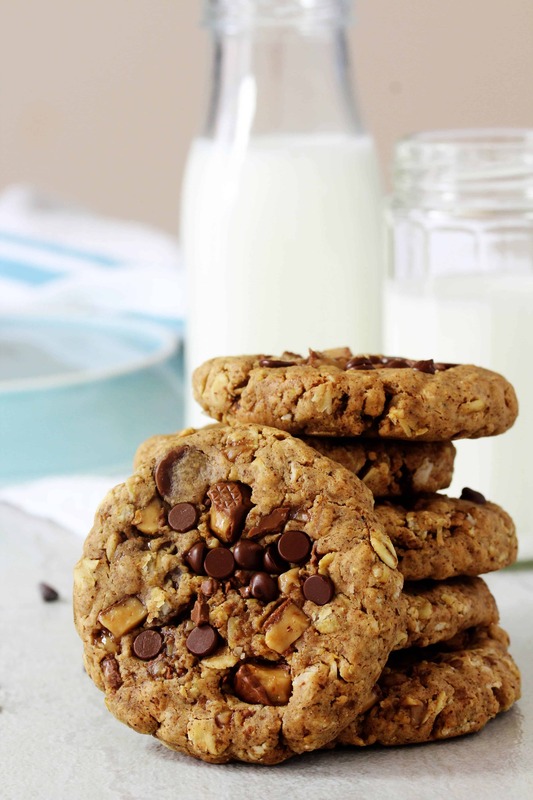 Typically, the butter in a cookie recipe allows the cookies to spread out while baking so you get a crispy texture. But, these cookies are butter free! Instead, they use macadamia nut butter. Never heard of it? Don’t know how to get it? Don’t worry! We’re making it ourselves! And, it’s ridiculously easy. All you need is a food processor, a blender, or my fave, a coffee bean grinder, and of course, macadamia nuts. Put the nuts in your contraption of choice and blend away. Depending on how powerful your blender/food processor is, you might need to add a tiny bit of oil. I added about 1/2 tsp of coconut oil to get my macadamia nut butter to the perfect consistency. 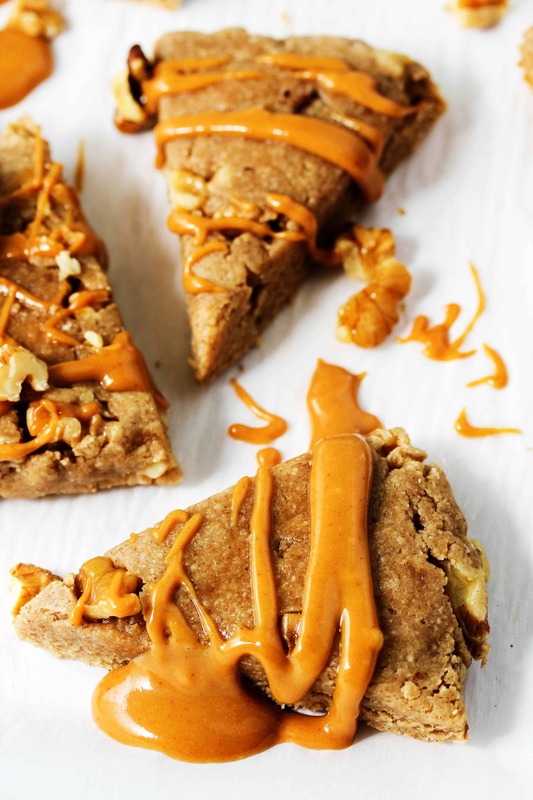 This recipe calls for 1/2 cup of the nut butter, but you can totally make as much a you want and save it for later. 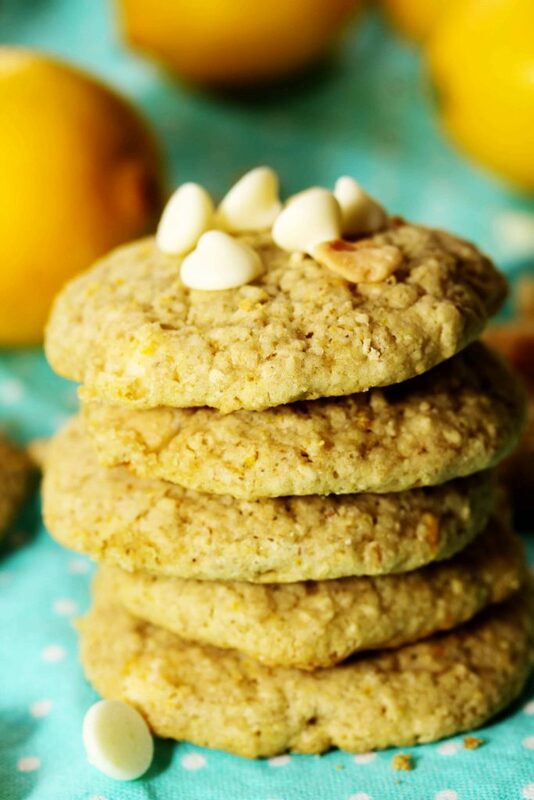 Not only does the macadamia nut butter help with the cookies’ texture, but it also gives them a mild, nutty flavor that doesn’t overpower the lemon-iness of the cookie. 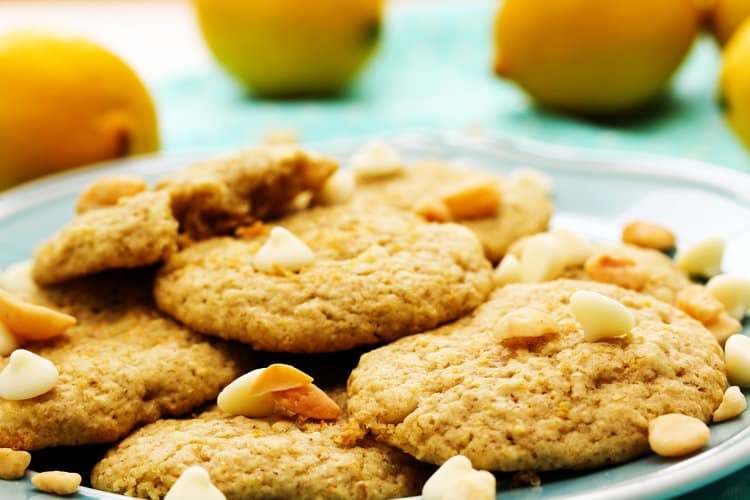 But, don’t worry, these cookies are also not sour/lip-puckering lemon flavored. Lemon can be tricky, it’s either too sour or you don’t even taste the lemon. 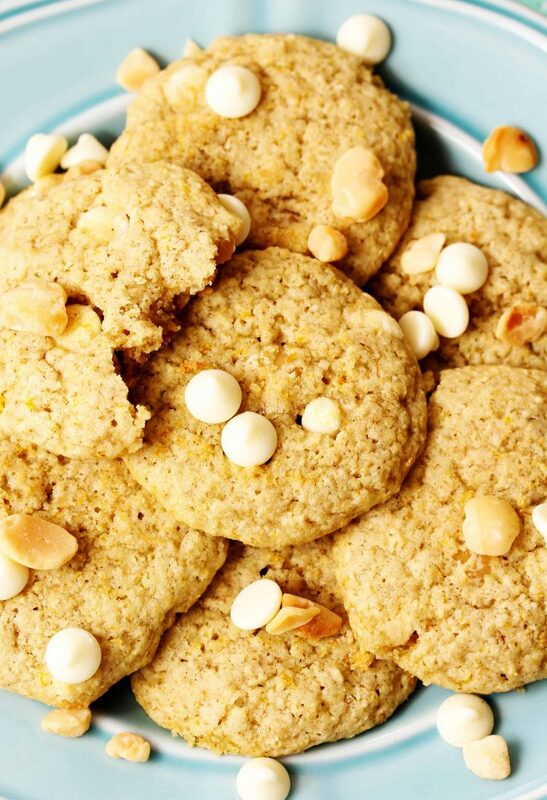 These lemon white chocolate macadamia nut cookies, however, get it just right. And macadamia nuts are little healthy powerhouses.They’re not only full of good-for-you fats, but also packed with fiber and trace minerals. 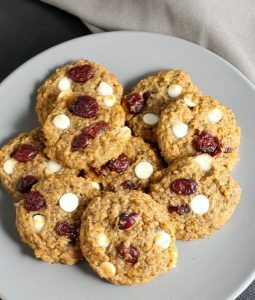 You can also store the cookies for a couple of days in the fridge. Although, the longer they’re stored the less crispy they get. 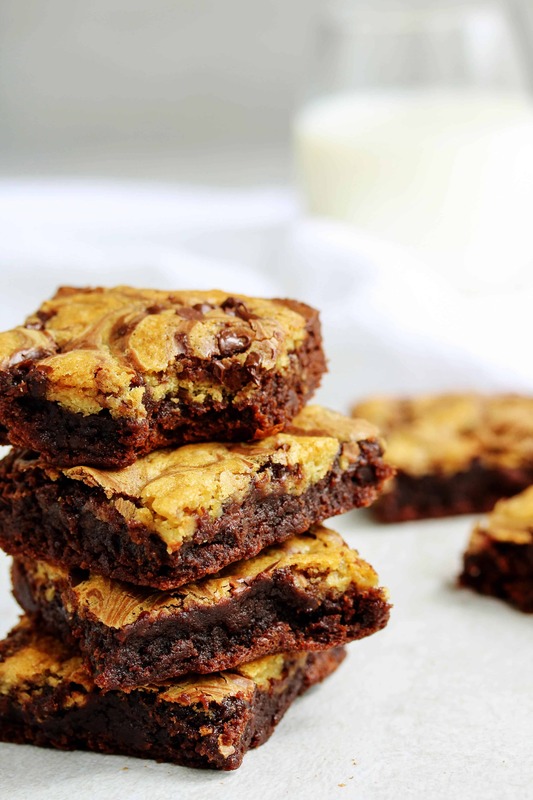 So, if you want that fresh, crispy goodness for each cookie, just store the mixed cookie dough in the fridge and bake off the cookies as you crave them! If you ask me though, one of the best parts about vegan cookies is that the cookie dough is also safe to eat. 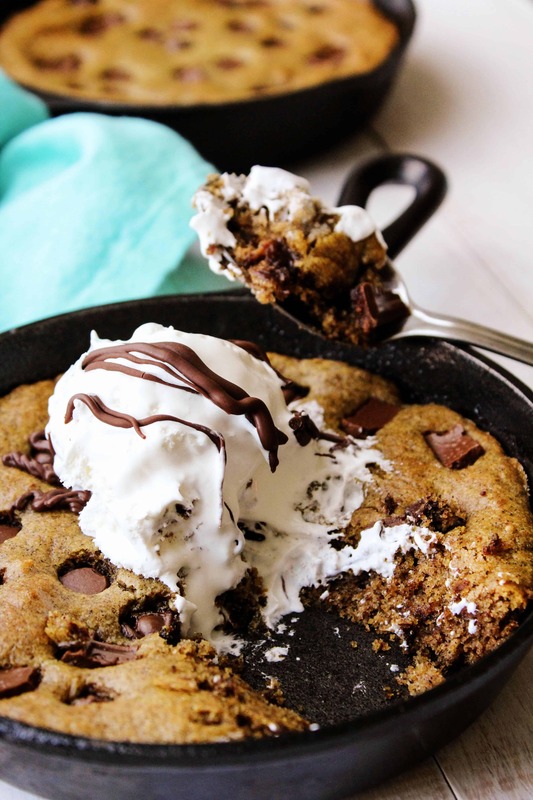 So, if you’re craving edible cookie dough instead of crispy cookies, you’re also in luck! 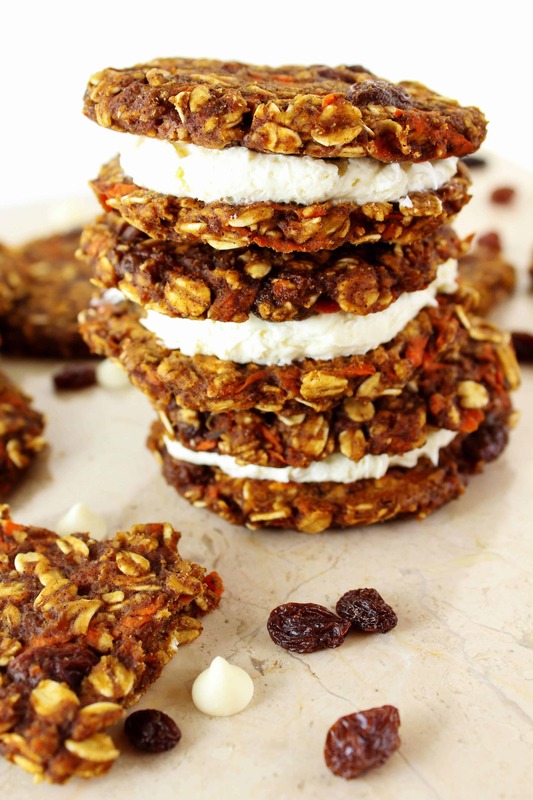 If you make these cookies (or anything from Healthy Hacks) be sure to tag me @HealthyHacksRD. I love to see them! Preheat oven to 350 F. Line a cookie sheet tray with parchment paper or grease. 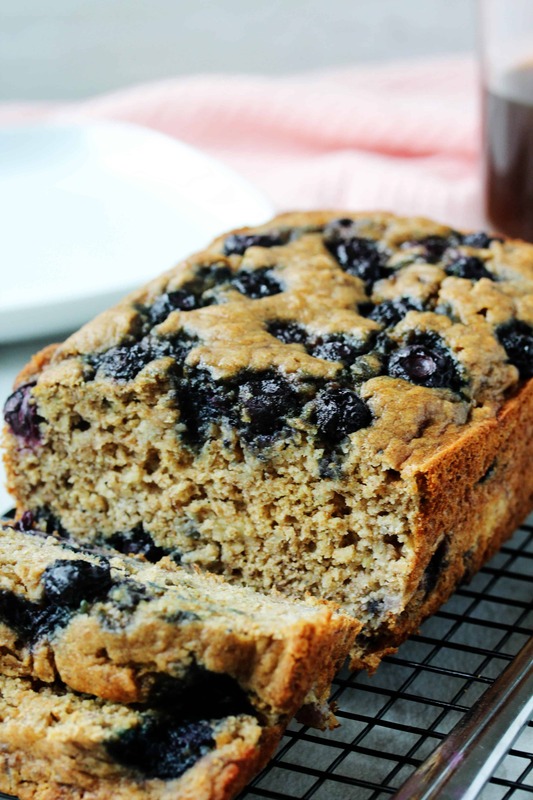 In a small bowl, combine the arrowroot flour and water. Stir together and set aside. In a food processor or blender, add 1/2 cup of macadamia nuts and process until completely smooth. If needed, add your choice of flavorless oil (i.e. sunflower, safflower, or even coconut oil) 1/4 tsp at a time until you achieve a smooth consistency. 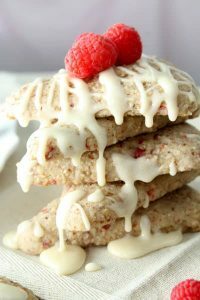 In a large bowl, whisk together the oat flour, almond flour, tapioca flour, sweetener, baking soda, and salt. Add the macadamia nut butter and the arrowroot flour mixture to the dry ingredients. Zest the lemon (be sure to wash it first), then juice it, and add it to the rest of the ingredients.Dough will be a slightly thick consistency. Scoop out 1 Tbsp of dough and place it on the prepared baking tray about 2 inches apart. Leave the dough in a mound shape (using an ice cream scoop is best if you have one). They will spread out and puff up slightly when baking. Bake for 9 minutes, or until the dough has spread out and is slightly hard to the touch on the top. Allow the cookies to cool slightly on the tray, then transfer them to a wire cooling rack to cool completely. 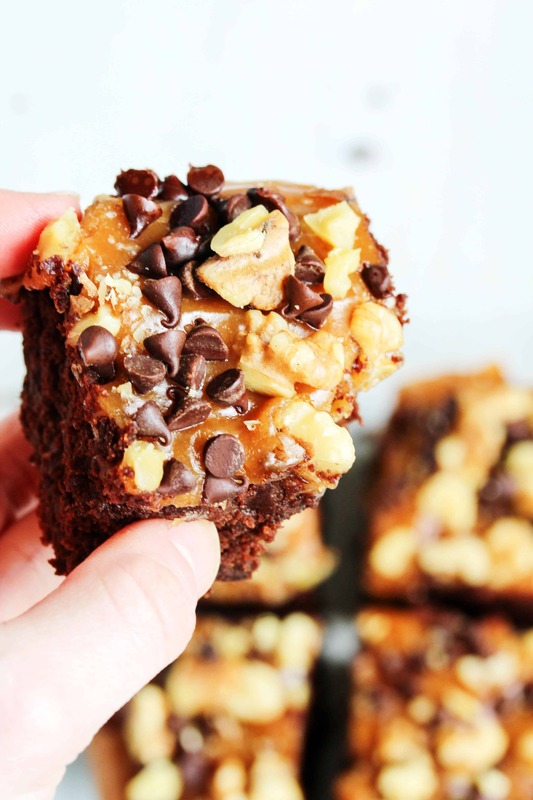 Take a bite (or two) and enjoy! !